An INDR Ad Hoc Committee critically commented on the UN Environmental Management Group’s (UNEMG) draft Common Approach to Environmental and Social Standards for UN Programming (aka the “Model Approach”). The International Network on Displacement and Resettlement is pleased to announce that its 2019 meeting will be held in China from 30 August to September 3 in Nanjing City. Professors Theodore Downing and SHI Guoqing will Co-Chair. The Sponsors include INDR, Hohai University, the China Three Gorges Group Co. Ltd, Three Gorges University, among others. Participants may join a week-long, post-conference study tour. Communications regarding this meeting will be sent to INDR19@displacement.net Deadlines for participants will follow. INDR Specialists from 15 countries conducted 14 Intensive Workshop in Oaxaca, Mexico 13-15 August, 2018. INDR forced displacement specialists completed the first of a series of three international meetings to consider a new evidence-based, forced displacement standard for forced displacement and resettlement. 54 specialists conducted and participated in 14 workshops/roundtables. 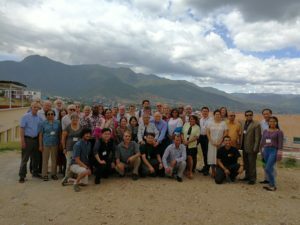 The meetings took place from 13-15 August 2018 in Oaxaca, Mexico. The Centro de Investigaciones y Estudios Superiores en Antropología Social (CIESAS), one of Mexico’s top anthropological research center, co-hosted with Salomon Nahmad-Sitton as Local Arrangements Chair. President Theodore (Ted) Downing with the assistance of Program Chairman Mohammad Zaman and indigenous affairs specialist Ramon Martinez instituted what Ted called a “high speed workshop format” permitting intensive, full participation of attendees. 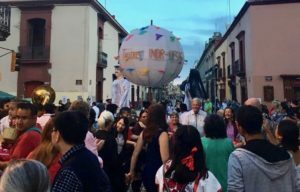 Fueled by exquisite Oaxaca cuisine, INDR solidarity was demonstrated by all the participants dancing in the streets! Preliminary plans for the 2019 INDR meetings in China are underway. Possible Swedish and other meetings await the scholars/specialists/dancers. Contact INDR19 for details. The INDR 2018 Program and Abstracts merits review. omit or fail to provide guidance regarding certain core elements of the ESS5 that are key to achieving borrower compliance with the requirements and, therefore, satisfactory involuntary resettlement. does not reflect accurately many lessons learned over several decades of international experience with involuntary resettlement. key technical, social and economic analyses essential for sound project design are missing including asymmetrical power relationships that vitiate mandated consultations with affected people. Moreover, operational guidance on classifying, managing, monitoring and evaluation for involuntary resettlement risks and outcomes specifically could be strengthened significantly to address the priorities highlighted in the overall Environmental and Social Framework. And, in contrast to previous Bank policies, resettlement expertise, experience, and specialization is excluded from project preparation, appraisal, and implementation in contrast to the previous Bank policy on resettlement. The detailed INDR Commentary explains these shortcoming. 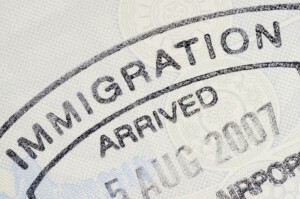 Immigration entry stamp on the inside page of a passport. Due to unreasonable restrictions on travel and visas imposed by the current United States administration, the International Network on Displacement and Resettlement (INDR) has suspended holding its scientific meetings in the USA. INDR is composed of internationally recognized specialists on forced population displacement and resettlement in many countries, some of which are arbitrarily banned from entering the USA. The scapegoating of innocent citizens of certain countries together with the abusive discrimination against international refugees and migrants violate our ethics and professional responsibility to the displaced communities with whom we work. Until such time as the USA respects the dignity, integrity, and worth of victims of physical, economic, or political displacement together with their right to resettlement the scientific meetings of the INDR will not be held in that country. The National Research Center for Resettlement (NRCR) at Nanjing, China has announced its International Training Workshop on Management of Land Acquisition, Resettlement and Rehabilitation (MLARR) to be held 16-29 April 2018 (dates are incorrect on program documents). We are pleased to share this exciting workshop, which includes a five day Three Gorges Study Tour. Review registration information and contact Dr. Yi Li, yili@hhu.edu.cn, +86 25 83718914 (fax) . Are Indonesia’s Country Standards equivalent to the Asian Development Bank’s Involuntary Resettlement Standards? A Report of an INDR Ad Hoc Commission on Country Standards. The 2017 Annual meeting focused on the international financial intermediaries (IFI) focus on using country rather than international standards for development project related forced displacement. The process will require comparing country standards to international standards. The process is just beginning. An Asian Development Bank (ADB) technical paper argued that Indonesia’s Country Safeguard System (CSS) for involuntary resettlement meets its Safeguard Policy Statement (2009) for measures of both “equivalence” and “acceptability”. It found Indonesian laws, regulations and procedures were “broadly aligned with the objectives, scope and triggers” of ADB safeguards. An Ad Hoc Commission of the International Network on Displacement and Resettlement (INDR) has completed a detailed review. INDR disagrees with the ABD findings, concluding that Indonesia does not yet satisfy either the equivalence or the acceptability standards. The INDR Commission discovered key issues that will face any attempt to “graduate” a country as providing equivalent or acceptable standards. Program Chair Juan Xi again organized an exceptional sessions to address key questions about forced displacement of peoples by development. Theme 1. Can International Policies Change Country Laws, Policies, Practices and institutions to Improve the Plight of Those Displaced by Development? BERGMAN, Michaela (EBRD) Why Does an International Lender Not Use Country Safeguards for Resettlement and Other Social Safeguards? TAGLIARINO, Nicholas (U Groningen) How Do National Laws on Land Acquisition Compare with International Policy Standards? Schmidt-Soltau, Kai (IRS) Quo vadis safeguards? Past, Present & Prospects of the precautionary approach in development. Downing, Theodore (INDR) and Garcia-Downing, Carmen (U Arizona) Doubling Down and Losing (Again): Will Replacing International Safeguard Standards with Country Safeguard Systems Improve the Plight of those Displaced by Development? RHOADS, Russell (GVSU) Would a National Resettlement Policy Help Protect Community Lands in Uganda? LUNING, Sabine (Leiden U) Characteristics of Mining Projects: Shifting Values in Negotiations over Access to Land and Water in Burkina Faso. SEK SOPHORN (Social Safeguard /Legal Specialist) International policies, national laws on resettlement and indigenous peoples and their articulation in Cambodian communities. KATIN, Nicole (Tulane U) The Invisible Displaced: The Human Costs of Conservation in Serra do Mar State Park, Brazil. 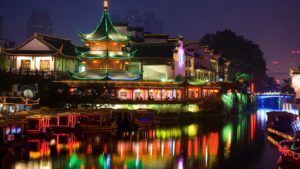 SHI, Guoqing, ZHOU, Jian, and ZHANG, Xiaochen (Hohai U) Social Impact Assessment: A Case Study for An Urban Developmental Project. SUN, Haibing (CTGU) An Analysis of Reservoir Resettlement from the Perspective of Social Welfare. ZHAO, Xu and DUAN, Yuefang, (CTGU) Policy-Induced Poverty of Reservoir-Resettlers from the Perspective of Double Social Changes: Based on the Case of the Late-stage Support for the Three Gorges Rural Resettlers. CHEN, Xiaonan and YU, Jin (NWAFU) Voluntary or Involuntary? The Role of Poverty Alleviation Policy in Resettlement Practices in China. DUAN, Yuefang and XU, Zhao (CTGU) Urbanization of Resettlers in Water Resources Projects: Characteristics, Challenges and Mechanisms for Innovation. 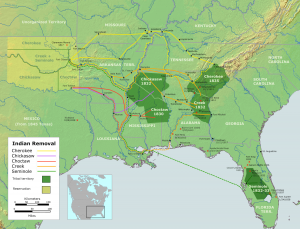 Development and the public good was the rationale the US President Andrew Jackson (1829-1837), founder of the Democratic Party, gave for forced removal of the Five Civilized tribes from the eastern US in 1830? For the Cherokee peoples, the removal became known as the Trail of Tears. By 1837. 46,000 Indians from the southeastern states had been removed from their homelands, thereby opening 25 million acres (100,000 km2) for predominantly white settlement. History records 3,500 Creeks, 2,500 to 6000 Choctaws, and approximately 2,000-6,000 of the 16,543 relocated Cherokee perished along the way. We share a transcript of President Jackson’s hand written, justification we found in The National Archives. The relocation, he argues, was in the public interest with a land for land policy. “It gives me pleasure to announce to Congress that the benevolent policy of the Government, steadily pursued for nearly thirty years, in relation to the removal of the Indians beyond the white settlements is approaching to a happy consummation. Two important tribes have accepted the provision made for their removal at the last session of Congress, and it is believed that their example will induce the remaining tribes also to seek the same obvious advantages. 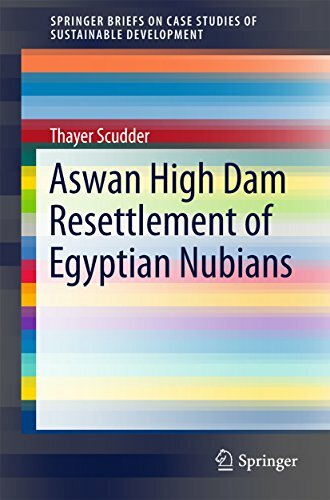 I am delighted to announce that INDR Co-Founder, Thayer Scudder’s new book, Aswan High Dam Resettlement of Egyptian Nubians (SpringerBriefs on Case Studies of Sustainable Development) was just published, including availability in a Kindle edition. 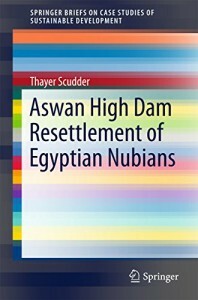 His book highlights the long-term resettlement process of the Egyptian Nubian people. Assessing the resettlement of 48,000 Egyptian Nubians in connection with the High Dam is especially important. This resettlement process is one of the rare cases in which research begun before the dam was built has continued for over fifty years. The resettlement of the Egyptian Nubian people is one of the few cases in which the living standards of the large majority improved because of the initial political will of the government, combined with Nubian initiatives. And, given the complexity of the resettlement process, weaknesses in government planning, implementation, and in the weakening of government political will, provide valuable lessons for future dam-induced resettlement efforts. – Ted Downing, INDR President. The International Network on Displacement and Resettlement’s Program Chair, Prof. Juan Xi (U of Akron) organized an exceptional scientific sessions. The March 24 – 2 April, 2016 meeting took place in Vancouver in conjunction with the Society for Applied Anthropology (. The INDR program chair, Juan Xi (U. of Akron) organized 14 extraordinary intellectually stimulating sessions discussing topics including reservoir resettlement, mining related resettlement, environment/climate change related resettlement, urban resettlement. Many of the sessions focused on China has the largest number of development projects and has produced the largest number of re-settlers. Myths persists from earlier eras of Chinese forced displacements that do not reflect the new, innovative Chinese resettlement policies and practice. Not only do they confirm that comparable issues reoccur in involuntary resettlement in different countries and projects, they also reveal unique national and local challenges. Key sessions also focused on theoretical and methodological development for re-settlement research. Review the 2016 INDR Program Vancouver 29 Mar to 2 April 2016. The International Network on Displacement and Resettlement (INDR) convened 12 well-attended scientific sessions at its annual meeting at the 75th Annual Society for Applied Anthropology meeting in Pittsburgh in March 2015 (see program and abstracts ). Scholarly debate focused on The World Bank’s proposal to downgrade its existing safeguard policies to, what consensus held, was a lowering of current international standards on involuntary resettlement and on indigenous populations. Anthropologists, sociologists, and environmentalists were the proponents and writers of these policies in the late 1970s and 1980s which have been replicated and adopted much beyond the World Bank itself by all public regional development banks (ADB, AFDB, IDB, EBRD), by over 80 private sector transnational investment-finance banks (the “Equator Principles” banks), by all bilateral aid agencies and export credit agencies of OECD countries, and some national governments. Bank’s Management made an early commitment in 2012 to revise and update, but not dilute existing policies. The consensus of the participants was the update needs significant redrafting to avoid a policy framework that licenses Bank financing to unnecessarily creating new poverty and social risks. WASHINGTON, March 4, 2015 —Acting on internal World Bank reports that identified serious shortcomings in the implementation of its resettlement policies, the World Bank today released a plan that will improve the oversight and management of resettlement practices to ensure better protection of people and businesses affected by Bank-funded projects. Three reports, which reviewed over two decades of World Bank projects involving possible resettlements, found that oversight of those projects often had poor or no documentation, lacked follow through to ensure that protection measures were implemented, and some projects were not sufficiently identified as high-risk for populations living in the vicinity. The action plan released Wednesday proposes to strengthen systems, staffing, and policy implementation. The plan focuses on improving preparation, supervision and implementation of resettlement, given the disruptive impact it can have on the lives of the people. The plan is aligned with the World Bank’s ongoing safeguards review process, and is largely based on recommendations from three reports: a 2014 Internal Audit Department (IAD) Advisory Review of the Bank’s Environmental and Social Risk Management; and two internal draft working papers – Involuntary Resettlement Portfolio Review Phase l and Phase ll. Since late 2012, the World Bank has been consulting with stakeholders on strengthening its environmental and social safeguard policies, including its policies regarding land acquisition and resettlement. On March 1, the World Bank concluded the second phase of consultations on the proposed Environmental and Social Framework, which would strengthen, update and clarify our existing safeguard policies. On resettlement, World Bank operational teams are already implementing many of the measures identified in the action plan released today, including a comprehensive review of its current policies, additional staff guidance, a systematic risk management framework, and strengthened accreditation of specialist staff. The plan also includes the use of a new Tracking Social Performance (TSP) Database, in response to a weakness found in two of the reviews that information on the scale and scope of project impacts is difficult to obtain in World Bank systems. This database was developed to better track resettlement issues for all Bank-funded projects with involuntary resettlement, and enable resettlement reports to be generated in real time. A similar tracking system is also now in place for environmental issues. More information, including a fact sheet, and an FAQ on the World Bank’s Involuntary Resettlement Policy, is also available. Involuntary Resettlement refers to two distinct but related processes. Displacement is a process by which development projects cause people to lose land or other assets, or access to resources. This may result in physical dislocation, loss of income, or other adverse impacts. Resettlement or rehabilitation is a process by which those adversely affected are assisted in their efforts to improve, or at least to restore, their incomes and living standards. * Update. In light of the 4 March release of Bank wide and a sample survey showing serious problems in the Bank’s tracking and execution of it involuntary resettlement policies – information that was NOT shared with either the World Bank’s Board or the commentators on the proposed new Environmental and Social Framework’s Involuntary Resettlement Standards (ESS7) – INDR is appealing the earlier rejection. INDR is offering President Kim and Senior Bank Management assistance from its international experts. Thank you for inviting me, as President of the International Network on Displacement and Resettlement (INDR www.displacement.net), to attend the workshop on the draft Environmental and Social Framework on February 18. The INDR is deeply concerned for the lack of a specific technical consultation on involuntary resettlement (ESS5) with the internationally recognized specialists and their professional association. Now 15 years old, the INDR is the only global professional association working in development-induced displacement and resettlement (DIDR). Its members include all the pioneer theoreticians and practitioners in this field. 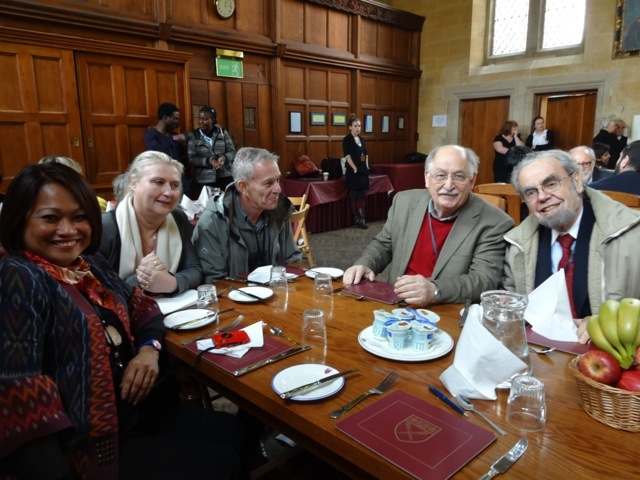 They have helped develop laws and policies, design, appraise, supervise, monitor, research and develop the leading theories on the resettlement effect. Some have over 30 years of experience with the World Bank and its sister financial intermediaries, with experience in more than 100 member countries of the World Bank in Africa, Latin America, the Middle East, East Asia and South Asia. At the 2014 Annual Meeting’s safeguards forum, following my testimony, you committed to work with our Network on involuntary resettlement, which your team has recognized as a difficult component in the ESS elements. We welcome the challenge to find ways to avoid and mitigate the multifaceted, impoverishment risks unleashed by forced displacement. Development that creates new poverty is not development – a fundamental contradiction to the Bank’s purpose. This contradiction begins to be resolved by resettlements being treated as development projects in their own right and benefits accrue to the affected populations. Toward this end, I am pleased to report that the INDR is convening over 50 international experts for four days to specifically analyze the proposed ESS5 involuntary resettlement policy next month. The proposed forum on the 18th of February is too broad and unfocused to permit meaningful, expert consultations on over three dozen technical areas that need attention. These include setting of objectives, planning, timing, meaningful participation of affected people and informed choices regarding settlement locations, livelihood and socio-cultural impacts, compensation, income restoration and improvement, policy consistency, integration of hosts and the resettled, grievances, human rights violation risks, vulnerable groups, accountability of various agencies involved, benefit-sharing, impoverishment avoidance, monitoring and evaluation. Nor would a follow up of written comments offer your team a chance to work through possible solutions with the key global experts in this field. INDR’s participation in the 18 February meeting might be misinterpreted as a meaningful, technical consultation on involuntary resettlement. For that reason, I will delay my Washington trip until we have scheduled the long overdue consultation specifically on involuntary resettlement with Bank senior management, drawing upon the findings of our March scientific forum. Would the Bank’s Vice President convene a consultation specifically on involuntary resettlement with eight to ten of the INDR’s key global experts? Recognizing that this might disrupt the schedule, an alternative might be to set the ESS5 element aside from the overall framework for additional enhancement. 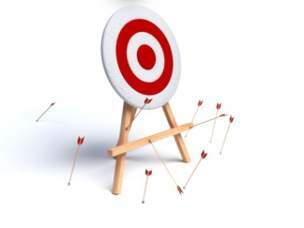 Over the past four decades, thousands of staff days have been spent dealing with this issue in so many projects, including multiple, high profile Inspection Panel complaints. A prudent, ounce of delay on this element will save extensive time and Bank resources downstream. We look forward to mutual cooperation. Thank you for your note and your engagement with the World Bank’s review of its safeguard policies. We agree that resettlement is among the core issues of this review. This is why the proposed standard on Land Acquisition, Restrictions on Land Use and Involuntary Resettlement (ESS5) introduces a range of suggestions to improve protections for people that are affected by resettlement in World Bank-financed projects. As you know, consultations close on March 1. Over the past seven months, we consulted with stakeholders from more than 60 countries in the largest consultation effort the World Bank has ever hosted. We had productive discussions with a wide range of stakeholders on resettlement. Two dedicated consultations on land issues have been held just before the Annual Meetings in Washington, DC and in Berlin on November 13. More than 100 organizations and experts participated in both events, which were widely advertised and open to all experts interested in attending. The Expert Roundtable in Washington resulted in an impressive recommendation document that will be crucial for our revisions of the framework. Resettlement has also been specifically addressed in the context of our consultations with Indigenous Peoples and on non-discrimination. At this point, I hope that you can submit your comments in writing to us. Comments from your organization would be important when we start revising the proposed framework based on stakeholder feedback as soon as consultations are closed. We, the undersigned organisations, strongly object to the World Bank’s safeguards draft since it falls far short of the rules needed to protect the environment and respect the rights of affected communities, workers and indigenous peoples. The draft derogates from well-established international standards and would effectively dismantle 30 years of policy evolution, setting a dangerous precedent among national, regional and global actors. The draft represents a massive dilution of current Bank policy that undermines momentum for the upward harmonization of social and environmental standards and their alignment with universal human rights. By eliminating key protections at a time when it has announced its intentions to expand lending to riskier infrastructure, large dams and mega-project schemes, the Bank fails to recognize that strong safeguards are essential to ensuring that project benefits are fairly shared and that the costs are not borne by the poor and marginalised. Weakening the existing safeguard policies would make the Bank’s goals of ending extreme poverty and promoting shared prosperity impossible to achieve. We fundamentally reject the way in which the review and update of the safeguard policies has been conducted to date, which has been marked by exclusion and a lack of transparency. Crucially, the revision process has failed to meaningfully incorporate the comprehensive inputs by civil society organisations, independent experts and scholars, indigenous peoples, labour unions, and project-affected communities. 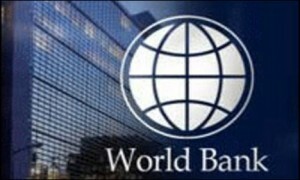 The “Review and Update” exercise was expected to take as its basis the existing World Bank policies, which form the social and environmental contract of the World Bank with the world we live in. Consistent with this contract, this “Review and Update” was expected to incorporate additional and better provisions where needed, to correct or eliminate out-dated or unnecessary elements, and replace them — in a transparent manner — with alternative formulations that are subject to subsequent public discussion. Instead, the existing policy texts were discarded and replaced with entirely different texts with vague resemblance to the existing policies. No opportunity was offered during the first phase for a candid discussion about the fundamental changes that have been incorporated in the draft. A meaningful process of multi-stakeholder consultation on how to operationalize and effectively implement international standards is urgently needed. This process must take the time that is needed to solicit and build on successful models of safeguards that are predicated upon decades of empirical research about how to ensure that development does no harm. It must be based on the understanding that human rights and sustainability are fundamental components of development, which are essential to achieving the Bank’s goals of eliminating extreme poverty and increase shared prosperity. A revised set of safeguard policies must, at a minimum, address the flaws in the draft that are set out in the annex to this statement. Undermines the rights of Indigenous Peoples. Allowing borrowers to “opt out” of implementing the proposed Indigenous Peoples standard would directly undermine successive and hard-fought battles by indigenous peoples at the national, regional and international levels to have their rights recognized and respected, and thus contradict their rights to self-determination and collective ownership of lands, territories and resources. This would constitute a massive dilution of current World Bank safeguard protections and undermine the credibility of the world’s most prominent development finance institution. Fails to protect the rights of workers. The proposed labour standard would have almost no impact in protecting the rights of workers because, by excluding third party contractors and civil servants, it would apply to only a small fraction of those who work on Bank-financed projects. In addition—unlike other development institutions—it fails to reference or live up to the ILO conventions and Core Labour Standards that must be the cornerstone of a credible labour policy. By needlessly narrowing who the standard applies to, the World Bank will perpetuate instances of unsafe working conditions, child labour, unpaid wages and denial of freedom of association. Fails to guarantee critical human rights protections. The draft safeguard policy fails to articulate how it will operationalize its stated commitments to human rights, which must underpin an effective safeguard system. The protection of human rights is necessary to attaining the goals of development. The safeguard policy must explicitly identify how the Bank will adequately identify risks to human rights for activities it intends to support through a robust human rights due diligence process. This is crucial if the Bank is to succeed in its stated goals of eliminating extreme poverty and boosting shared prosperity. Does not meaningfully address climate change. Despite the Bank’s prominence in warning of the dangers that a warming world poses to development, the draft includes only sporadic mention of climate change. The draft does not ensure that projects are in-line with national climate plans, nor does it have clear requirements for assessing and managing the impacts of climate change on the viability of projects or the resilience of ecosystems or local communities in project areas. At the same time, the draft fails to require assessments of greenhouse gas emissions for all high-emission projects or to take steps to reduce emissions. Tramples the rights and threatens the welfare of communities subject to forced displacement. The draft eliminates the fundamental development objective of the resettlement policy and the key measures essential to preventing impoverishment and protecting the rights of people uprooted from their homes, lands, productive activities and jobs to make way for Bank projects. The draft allows the Bank to finance projects that entail the physical and economic displacement of communities without first ensuring that there is a reconstruction plan and budget available to ensure adequate compensation, sound physical resettlement, economic recovery and improvement. This would be an unconscionable regression in Bank policy that will result in the large-scale impoverishment of affected people and exacerbate inequality, in flagrant contradiction of the Bank’s mandate and goals. The draft also fails to ensure a transparent accounting at project completion that no displaced people end up worse off than without the Bank project. Lacks adequate protections to prevent deprivations in childhood. Despite an important new requirement to assess impacts on children among other vulnerable groups, the draft lacks critical requirements to address the unique risks to children. As such, Bank projects could continue to have the potential to employ child labour, resettle children far from educational opportunities, and result in the exploitation or trafficking of children, among other risks. Such negative impacts can result in long-term, irreversible deprivations that cause lifelong damage, preventing children from reaching their full potential while perpetuating the cycle of poverty. Eliminates protections for forests and forest-dependent peoples. The newly rebranded biodiversity standard establishes a single-minded focus on species biodiversity at the expense of ecological integrity and the local communities dependent on natural resources for their livelihoods and cultural survival. Far from safeguarding forests and other natural habitats, the biodiversity standard permits projects in previous ‘no-go’ areas and provides loopholes for logging, while the standard’s heavy reliance on biodiversity offsetting leaves no natural areas off the table for destructive interventions. The draft must strengthen protections for the natural resources that the majority of people living in extreme poverty depend on. Leaves out persons with disabilities as a distinct group often differently impacted by projects. While the draft does include persons with disabilities for the first time, it does not guarantee that the unique and differentiated impacts of World Bank projects on persons with disabilities will be assessed. Therefore, it does not provide adequate opportunity for persons with disabilities to proportionately share in project benefits and leaves open the possibility that persons with disabilities could be harmed by World Bank projects. Ultimately, persons with disabilities have unique needs that must be addressed throughout the draft. Lacks protections for gender and SOGIE. By listing women, girls, sexual orientation, and gender identity and expression (SOGIE) within a string of ‘vulnerable groups’, the draft fails to fully grasp the unique impacts on each of these groups. The next draft must systematically address gender and SOGIE throughout the standards, and add a freestanding mandatory gender and SOGIE standard, which is long overdue. This is necessary to explicitly prevent and proactively address the negative impacts of gender and SOGIE-exclusion from project planning and benefits. It will be impossible to end poverty and boost shared prosperity without explicitly addressing gender and SOGIE issues. Security’s ‘Voluntary Guidelines on Tenure of Land, Forests and Fisheries’, the draft fails to strengthen protection of the land rights of poor and vulnerable groups. Instead, it undermines them in many ways, such as by excluding the application of the land and resettlement standard to projects concerning land titling and land use planning. Excludes nearly half of the Bank’s portfolio. The narrow application of the proposed safeguards to traditional investment projects would exclude the growing share of Bank lending channelled through other lending instruments, which account for nearly half of Bank lending, increasing the fractured nature of safeguards in the World Bank. This will lead to further weakening of a safeguard system that is already underfunded and lacking in independence, effective supervision and support for borrowers during implementation and genuine monitoring of impacts on the ground. Abdicates Bank responsibility and riddled with loopholes. While there are positive new elements in the framework, including the recognition of free, prior and informed consent for indigenous peoples and an expanded scope for social assessments, these are undermined by: the clear attempt to institutionalize much greater discretion, loopholes which eliminate procedural protections, and a greater reliance on borrower systems without clear identification of when that option is appropriate or how minimum standards would be assured. At the same time, the draft outsources implementation and monitoring of safeguards to borrowers, which represents an unconscionable abdication of responsibility by the Bank. Threatens to set off a race to the bottom. Ultimately, the policy proposals not only fail to protect the rights of communities impacted by Bank projects and the ecosystems that underpin sustainable development, they also lower the bar for development finance institutions that look to the World Bank to actually set the standards. The World Bank has fallen far short of its goal of setting a new global standard when it comes to protecting the rights of the poor and the environment. Instead, it risks setting off a race to the bottom that is likely to have negative consequences for social and environmental standards globally. The Bank should rather be focused on ensuring, at a minimum, upward harmonization with the strongest existing safeguards and surpassing these protections in order to deliver sustainable development results for the poorest with a focus on promoting global public goods, rather than competing for market share. The Bank should develop its stewardship role in support of principles of sustainability, human rights standards, international laws and their corresponding obligations. In a backroom move, The World Bank’s is attempting to substantially dilute, if not eviscerate, social and environmental protections that have evolved over the past thirty years. Under the guise of modernizing their “safeguard policies” and after a enigmatic global consultation with limited participation, a subcommittee of the Board of Directors, the Committee on Development Effectiveness – CODE) unexpectedly approved a heretofore secret draft of a new safeguard policy framework. The CODE cleared the draft for a brief 4 months of further consultation (Phase II). The brief draft and consultation program lacks plans for consultation with involuntary resettlement professional organizations. An initial review by David Pared and Natalie Bulgalski of Inclusive Development International discovered substantial changes in involuntary resettlement policy development. INDR members are conducting further analysis. We are discover a substantial downgrading and dilution of the new draft compared to the current Bank’s Involuntary Resettlement policy. A Statement on Land Rights in Draft World Bank ESF is being prepared comparing the existing standard (Operational Policy 4.12) to the proposed new standard offers another preview of how serious this weakening is. 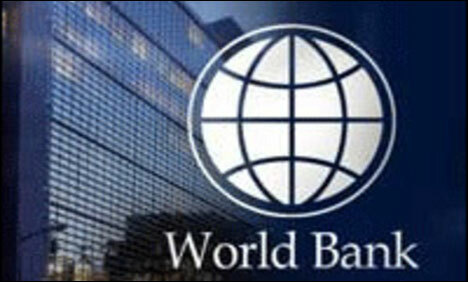 The World Bank’s shamelessly announced that they are strengthening the standards? A flood of protest is rising. Near the end of July, 111 NGOs, Professional Organizations, including the International Network on Displacement and Resettlement (www.displacement.net) asked The World Bank to scrape this dilution of its international standards (see letter). The Bank on Human Rights strongly reject the Bank on Human Rights Letter to the Executive Directors on CODE -7.28.14 and demand The Executive Director’s to roll back their committee’s decision. And the firestorm builds. The Bank Information Center (unaffiliated with The World Bank) is tracking scores of OpEds, press stories, CSO and public complaints not only to the proposed framework but the unorthodox manner the Bank intentionally avoided public consultation. Last week, the World Bank released a draft of its proposed new environmental and social safeguards. However, after a careful analysis of the draft, we think that Peters’ assertions are wrong. Let’s take the example of involuntary resettlement. Every year, some 15 million people are uprooted from their land and homes to make way for development projects around the world. The risks of displacement for poor families are well documented: homelessness, loss of livelihoods, food insecurity, psychological trauma, economic and cultural marginalization, to name a few. It is by now well established that in order to avoid these impacts, strong resettlement safeguards must be in place. There’s a dearth of public information on the scale and impacts of displacement financed by the World Bank, or the effectiveness of its resettlement policy in achieving its objectives to date. Any credible policy review should be based on analysis of such information. But despite this, the bank is proposing to dismantle the fundamental architecture of its resettlement safeguards that has been in place since 1980 without presenting a shred of evidence that the changes will lead to better — and not worse — development outcomes. A hallmark of the bank’s proposed new Social and Environmental Framework is the elimination of “front-end” safeguard requirements to make it simpler, quicker and cheaper to get projects approved. Gone is the 34-year old requirement that borrowers must submit a comprehensive resettlement plan before the bank commits to financing a project that causes displacement. The proposed new standards permit borrowers to submit resettlement plans at some undetermined point in time — but after financing has been approved. By that point, the bank will have lost the vast majority of its leverage to ensure that the plans are capable of preventing harms to displaced families. Affected communities would also be deprived of the opportunity to provide input into project designs and resettlement plans before funds are disbursed. Once the money is out the door, it’s much less likely that the voices of impacted communities will be heard. The draft also discards the requirement for thorough baseline socio-economic studies to be conducted prior to displacement. These studies are crucial to designing effective resettlement programs and preventing impoverishment, and without them it’s impossible to measure the impacts of resettlement and whether the objective of improving — or at least restoring — affected people’s living standards has been met. This tectonic policy shift is part of the move away from so-called “rules-based” safeguards to a more flexible approach. While the bank has repeatedly claimed it wants to shift resources from project preparation to implementation, we find nothing in the draft that indicates more robust oversight and support for borrowers to ensure that safeguard objectives are met. In fact, monitoring and supervision procedures have been gutted alongside the front-end safeguards. The bank procedures currently in force recognize the “importance of close and frequent supervision to good resettlement outcomes” and include detailed supervision requirements during implementation through to completion. These detailed procedures have been removed, and the bank’s role has been reduced to little more than reviewing progress reports and self-evaluations submitted by borrowers. For a borrower looking for a way to evade the safeguard requirements, the draft is littered with loopholes. To name just a few, if the bank finances a project with multiple “sub-projects” that involve displacement, the resettlement safeguards only apply if the borrower classifies the sub-project as having a “high” social risk — a classification that is undefined in the draft. Sub-projects classified as having a “substantial risk” (also undefined) need only comply with national regulations. That may be fine for countries with their own strong land management laws and systems, but this is extremely rare among World Bank client countries. If there is cofinancing with another agency — which is frequently the case for big projects that cause large-scale displacement — the borrower and financiers can agree on a “common approach” to managing risk. Rather than requiring the higher of the applicable standards, the draft ambiguously states that the common approach “will not materially deviate from the objectives” of the World Bank standards, allowing for considerable discretion with minimal accountability. The same loophole is available to financial intermediary clients, such as private banks and equity funds. Also, to the outrage of indigenous peoples organizations and support groups, borrowers can also opt-out of applying the indigenous peoples safeguards in certain circumstances, a provision that undermines international human rights standards and is thus open to abuse. But he didn’t mention that the proposed new framework eliminates the fundamental principle — long embedded in the bank’s safeguard policies — that the bank shares responsibility with the borrower for avoiding and mitigating the social and environmental risks of the projects it makes possible. The draft transfers all responsibility for compliance with the standards to the borrower, exonerating the World Bank from its obligations to the people displaced by its projects. At the same time, the rules for the borrower are nebulous and elastic. Compliance has become an open-ended affair, required only “in a manner and time-frame acceptable to the bank” — which gives staff total discretion to decide when compliance is met and by what standard. All of this would mean that, if the safeguards draft is adopted, the Inspection Panel would have no hard rules against which to hold the World Bank accountable. Communities displaced or otherwise harmed by bank projects would be left with little recourse. We agree with Peters that the bank’s safeguards have not been “watered down” with this draft. They’ve been drowned to death. Something has gone dreadfully wrong with the forced population displacement and involuntary resettlement caused by a large Railways Development project in Cambodia. Co-financed by the Government of Cambodia, the Asia Development Bank (ADB) and by the bilateral Australian Aid Agency (AA), the project is expected to follow international involuntary resettlement standards. It does not…Read More. 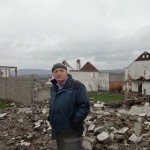 INDR President Downing has completed a report on a proposed forced displacement by a proposed Kosovo lignite mine. The Government of Kosovo is taking preparatory actions to involuntarily displace over 7000 people to make way for an open pit lignite mine as part of the Kosovo Power Project (KPP). Kosovo Civil Society (KOSID) invited Ted to determine whether this preparation complies with the international involuntary resettlement standards (OP 4.12, PS5, PR5, OECD, and Equator Principles) that must be met for the project to obtain international financing? Ted’s report finds it does not. The reasons why provide a good overview of the risks involved in a mining-induced displacement. UNDP is pleased to invite your comments on their draft Social and Environmental Standards by *May 2, 2014 (French and Spanish versions will be posted soon on the website). The objectives of the standards are to: (i) strengthen the social and environmental outcomes of UNDP’s programmes and projects; (ii) avoid adverse impacts to people and the environment; (iii) minimize, mitigate, and manage adverse impacts where avoidance is not possible; and (iv) strengthen capacities for managing social and environmental risks. For more on submissions. *the deadline for comments has been extended to May 2, 2014. In January 2014, the United States Congress passed compromise legislation on the annual budget. Buried within its’ 1500+ pages is specific and far-reaching language that clarifies US obligations and related policy with regards to public funds invested in foreign contexts, including US investment in international financial institutions (see Consolidated Appropriations Act, 2014). Specifically, international financial institutions (IFIs) must ensure that a negotiated reparation agreement between the Government of Guatemala and communities affected by Chixoy Dam construction, forced displacements, and related violence is fully implemented; take demonstrative measures to ensure similar compliance to reparation agreements between residents of Boeung Kak lake in Cambodia and the Cambodian government; and, oppose financing for any activities that involve forced evictions or other violations of human rights in Ethiopia. This law also requires US representatives at IFIs to vote against “any financing to support or promote the expansion of industrial scale logging or any other industrial scale extractive activity into areas that were primary/intact tropical forest as of December 30, 2013” and any loan, grant, strategy or policy of such institution to support the construction of any large hydroelectric dam (as defined in “Dams and Development: A New Framework for Decision-Making (World Commission on Dams, 2000).” IFIs are also required to undertake independent outside evaluations of all of its lending to ensure that each institution “responds to the findings and recommendations of its accountability mechanisms by providing just compensation or other appropriate redress to individuals and communities that suffer violations of human rights.” This language was originally introduced as part of the Foreign Appropriations bill adopted by the Senate in the spring 0f 2013, following a series of meetings with representatives of affected communities, IFI staff, civil society advocates, and input from independent experts such as myself. Documentary evidence submitted in support of Senate deliberations demonstrated IFI failures to attend to the recommendations of internal and external compliance mechanisms and, thus, an unmet IFI obligation with regards to continuing human rights abuse. The case of the forced displacement at Guatemala’s Chixoy Dam played an important role in garnering public attention …. How might decades of research about development-forced displacement and resettlement (DFDR) help inform responses to environment and climate change-related displacement? See Editor Connell’s introduction to the new hot issue and join in this critical dialogue. INDR’s own Michael Cernea reviews in an OPED article on the Brookings Institution website on the new Act just adopted by India’s Parliament, entitled The Right to Fair Compensation and Transparency in Land Acquisition, Resettlement and Rehabilitation Act”(LARR) 2013. The new law repeals and replaces India’s 119 year-old, colonial Land Acquisition Act (LAA) of 1894, empowering farming families with the right of prior consent to land acquisition for some sub-categories of development projects, too narrowly defined, and increasing compensation rates for land up to four times the market value of land in rural area, and of up to two times the market value of land in urban areas. Importantly, the new Land Act legislates the mandatory incorporation of a resettlement and rehabilitation plan in each main project causing displacement. Additional comments on critical issues of policy and human rights are forthcoming in a second part of this two parts article. How are, or should, the rights and lives of local people be considered when governments and mining companies negotiate secret agreements, granting companies access to the subsoil beneath them? Such agreements are usually secret – non-disclosed to those “in the way” but they may threaten the existence of groups with ill-defined property rights. Tribal and indigenous peoples are especially vulnerable since Government may have an adversarial role with them before the mining deal is negotiated. In 2009, the Mining Law Committee of the International Bar Association collected and analyzed over 50 existing mine development agreements to prepare a Model Mining Development Agreement (MMDA) as a tool, or set of tools, that can be used by mining companies and host governments for mining projects. As a compilation of existing agreements, the resulting protocol did not pay attention to critical social and local economic issues that are increasingly being considered by the sector, particularly when they seek financial guarantees form international lenders. 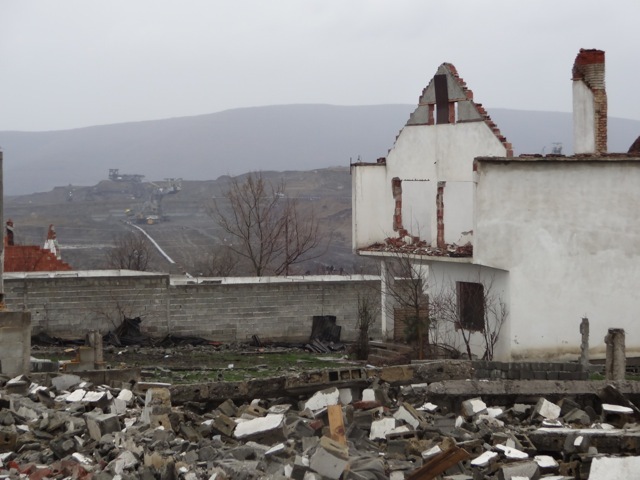 The expansion of a coal mine ends the life of a Kosovo village. Photo by Ted Downing 2013. INDR President Ted Downing appointed a talented committee, an Ad Hoc Committee on Mining and Sustainable Development, to critically review the draft protocol. On 11 April 2013, the INDR Committee presented their preliminary findings to Luke Danielson, a member of the Mining Law Committee and their revised version will be published shortly on this page. Avoiding New Poverty: Mining-induced displacement and resettlement. Theodore Downing 2002. London: International Institute for Environment and Development. Mining and Indigenous Peoples: Stakeholder Strategies and Tactics. Indigenous Peoples and Mining. Theodore Downing, Carmen Garcia-Downing, Jerry Moles and Ian McIntosh. 2003 IN Finding Common Ground:Indigenous Peoples and their Association with the Mining Sector. World Business Council for Sustainable Development and the International Institute for Environment and Development (UK). P. 11-46.